Kaitlin's been asking for awhile now to get her ears pierced, but I've always found a way to put it off. However, we went for an impromptu trip to Sioux Falls with my parents and sister for some shopping and to go out to dinner with my little brother. We were at the mall and happened to walk by Claire's as someone else was getting their ears pierced. She instantly looked up and said, "Mom, please..."
My sister piped in. "Yeah, mom....please...". Thanks, Sis! So, here she is before. Although you can't tell, she did have a few moments of hesitation once she actually got in the chair. ...THREE! Notice the little grimmace? Thankfully, she was still smiling afterwards. And anyway...a sucker always makes everything better, right? Now she's known as 'the girl with sparkly ears'! One of my favorite activities in the fall is going to the pumpkin patch with Kaitlin! It's always a great adventure to pick out the perfect pumpkin (or two...or three...) to adorn our front steps until it's time to carve them for Halloween. We’ve been going to Garrity’s Prairie Gardens each fall to pick out a pumpkin or two for several years now, but this was the first time that Daddy went along. Kaitlin had a great time showing him around…the goats were feeling friendly and they both had great time exploring the hay maze. Dad especially came in handy when it came time to carry the pumpkins back to the car! This is a great design for strictly 4X6 photos. The two horizontal photos were trimmed down only slightly to avoid cutting through the subject in the photo to the left. 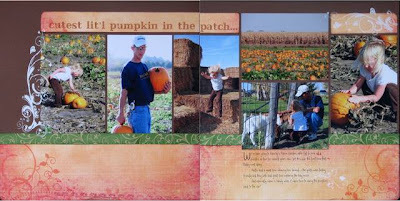 The vines associated with a pumpkin patch are repeated several times throughout the layout – the viney text of the title, the rubons, the design in the accent ribbon as well as the patterned paper itself. The journaling was printed directly on the patterned paper by trimming it down to fit through a standard printer and setting it up to print in landscape format. Kaitlin didn't have school today, so I decided to take a 3-day weekend and dedicate it to scrapping! My sister and one of her friend also came over for Saturday and part of Sunday to scrap along with me. I completed 12 layouts total - with seven of those being double page spreads! I'll be sharing some soon...as soon as I have a chance to get them pictured which will probably be later this week. Scrapbooks etc. has had some really great free templates on their website for a while now for creating photo collages. The 100 series includes square templates, the 200 series includes rectangle templates, and the 300 series includes 4x6 photo card templates. "Have you ever had trouble matching photos with products and finding color schemes for your layouts? I certainly have...but not anymore. We've just unveiled a FREE, online color matching tool that will change the way you prepare to scrapbook, create your projects, and think about color in scrapbooking. Scrap by Color helps you find the perfect color schemes and coordinating products for your projects. 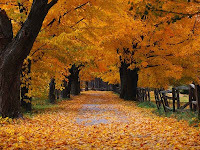 Upload your photos and we'll suggest matching color schemes and layout ideas." You've just got to play with this one! I was fairly new to my job as an enrollment counselor and out on my very first recruitment trip. I had stayed the night of the 10th in a little town called Ainsworth, NE because there was a college fair scheduled at the high school the following morning. I hadn't watched the news that morning, but when I arrived at the high school at about 9:30 a.m. that morning, many of the other counselors were already buzzing with the news. The fair went on, but we were all wondering if the fair scheduled for later that night in Broken Bow, NE was cancelled - it wasn't. We all spent the day watching the news in disbelief. We were also all a little concerned considering they had announced that the President had been flown into Nebraska - exactly where we all were. Thankfully, we all made it through the fair and safely home again. It's hard to believe that this event took place eight years ago. Considering the effects we still see on our society today, it sure still seems a whole lot more 'recent'. Where were you on September 11th, 2001?? It's so hard to believe that Kaitlin is already a few weeks into her 1st grade year! Looking back on this layout that I created about her starting Kindergarten a little over a year ago really has me eager to scrap the 1st day pictures from this year that I just had printed. I created my own die-cut paper (on the right) by tracing another sheet and cutting it out by hand. I chose the paper with the large, brightly-colored circles because it reminded me of the rug that the children are sitting on in the supporting photo and then outlined the letter stickers in black to help them stand out against the bold patterns. The strips help to break up the journaling and allow the background to show through. In mid-August, Kaitlin got to visit her new classroom for the coming year at Beadle Elementary. She would be in Mrs. Neu’s (on the right in the photo below) Kindergarten class and was excited to meet her. Mrs. Kunkle (on the left) would be her teacher for the first six weeks because Mrs. Neu would be taking maternity leave as she just had a new baby daughter. Kaitlin couldn’t wait to start out the year at her new school where she will finally be in the same place for awhile. She will attend Beadle through the 5th grade when it will be time to go to the Middle School. We have a winner for the August 2009 :Be Inspired: Creativity Prompts drawing! CONGRATS goes to Meghan C. of California!! 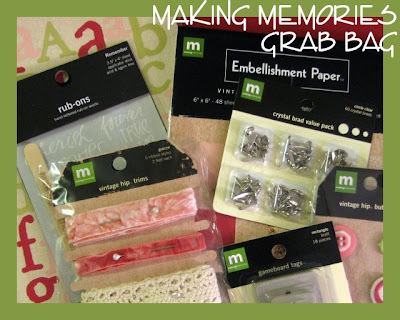 And for all her crafty efforts, Meghan will soon be receiving a sweet package with over $25 worth of Making Memories goodies in her mailbox!! The September 2009 :Be Inspired: Creativity Prompts are already available for download, so head on over and get scrapping! You have until Monday, October 5th to submit for this month's prize - the complete Mr. Campy Crafting Kit by Cosmo Cricket!! "God sells us all things at the price of labor." "Work isn't to make money; you work to justify life." 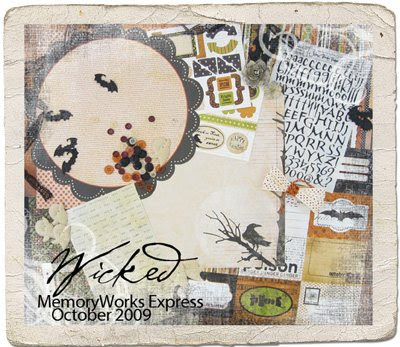 :MEMORYWORKS: September 2009 Kit - "Homespun"
Let's face it! 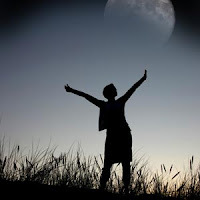 Life is busy this time of the year and here is your chance to slow things down and simplify. 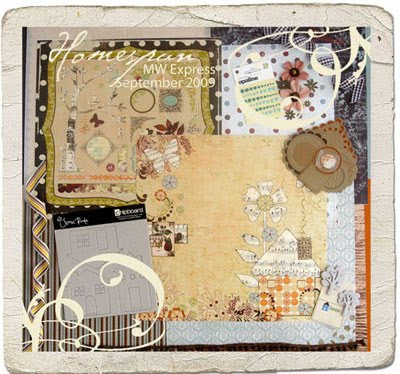 You'll adore the rustic, eclectic look and feel of this month's kit. The warm and cozy creams, browns, and deep greens are perfect for all of your homemade handcrafted projects so bring one home today! 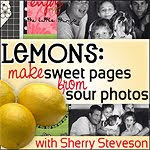 You crop and compose your scrapbook pages, how about exploring the same techniques with your camera? Learn to see through your viewfinder the photo you want on your page and take control of the buttons and knobs on your camera for results you love. 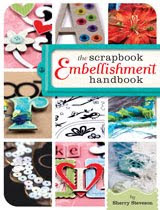 Get the warmth and texture of textiles onto your scrapbook pages. You’ll learn a diverse range of techniques as you add fabric to your projects in both big and small ways. 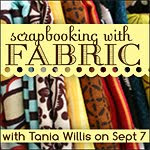 As always, Tania will have you pushing the boundaries of your creativity while encouraging you to reduce, reuse, and recycle castoff fabrics so they’re useful once again.Anyone who has taken a class with Tania knows that her lessons are BIG and full of original and inspiring ideas. Are you ready to enhance your photos with fun and interesting Photoshop techniques? In Fun Photo Effects, you'll learn ways to play with text on your photos, incorporate edge and sketch techniques, add some artistic flair, and much, much more. 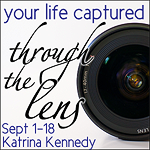 As with her other classes, Lynn will be in the forums and gallery providing support tips, and feedback.Fun Photo Effects is for paper and digital scrappers who have taken Beginning Photo Editing or who have basic experience with a Photoshop product. 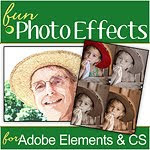 It will be written for users of Photoshop Elements 4 through 7 and Photoshop CS through CS3.